It snowed today. The girls were busy piling stuffed animals on the foyer of the stairs and jumping carefully down into it. 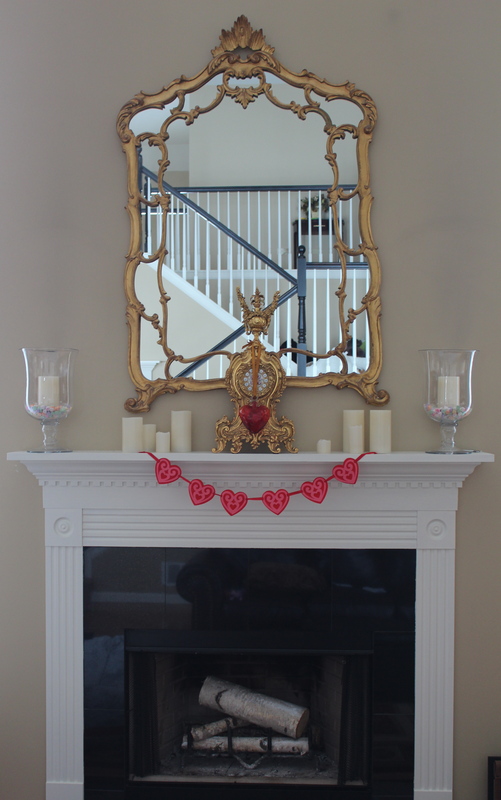 I was bored so I decorated the mantle for Valentine’s Day and snapped pictures. 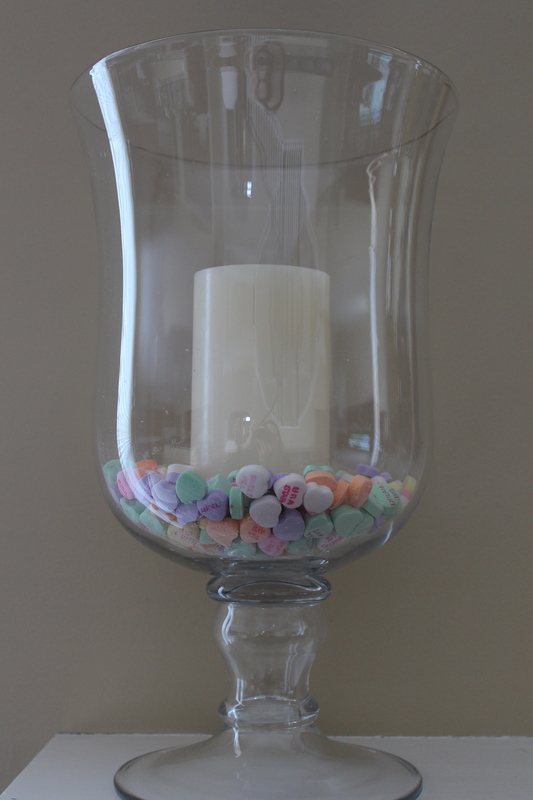 I filled the hurricane candle holders with a bag each of conversation hearts; reserving a third bag entirely for the girls who were eyeing the candy like a pack of wolves. If I ration them carefully, I can make it last all the way until Valentine’s Day. 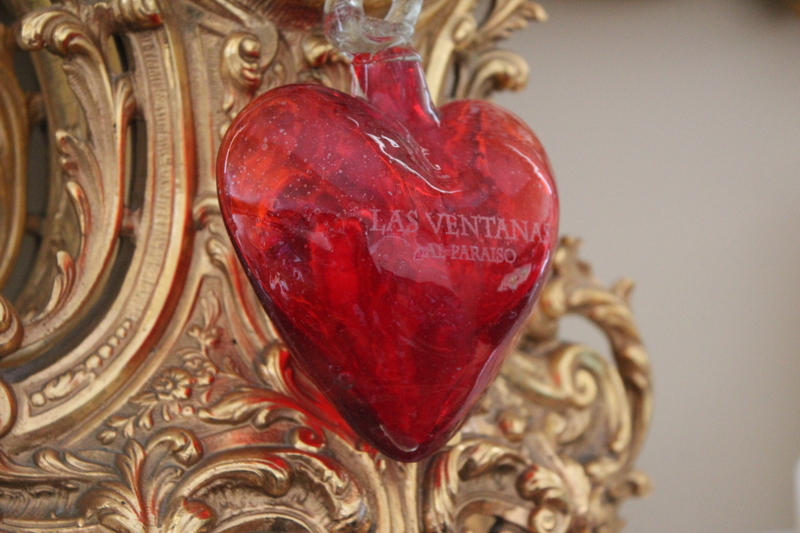 My husband and I received this heart ornament as a parting gift from our hotel in Mexico reminding us that part of our hearts will always stay at the resort. That sweet gesture instantly brought tears to my eyes. The staff at Las Ventanas are such lovely people. We look forward to going back and collecting a few more in the years to come. 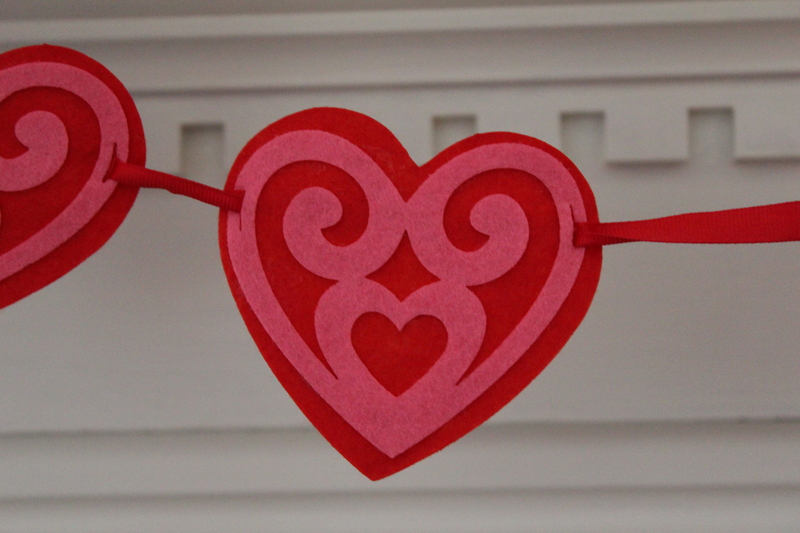 The heart garland is from the Target dollar bin. I contemplated making one myself, but it probably would have turned out like the “nailed it” pictures from Pinterest. Plus, how can you beat one dollar? 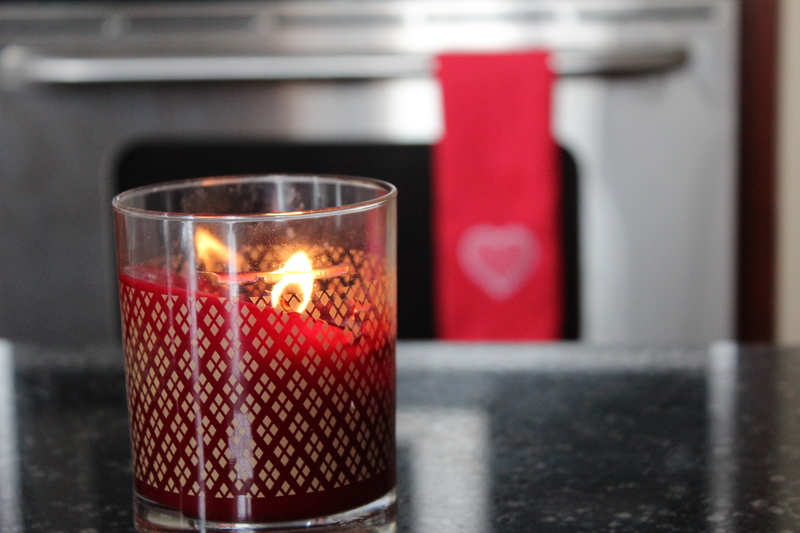 A cinnamon-scented candle and whimsical heart dish towel also from Target’s dollar bin. 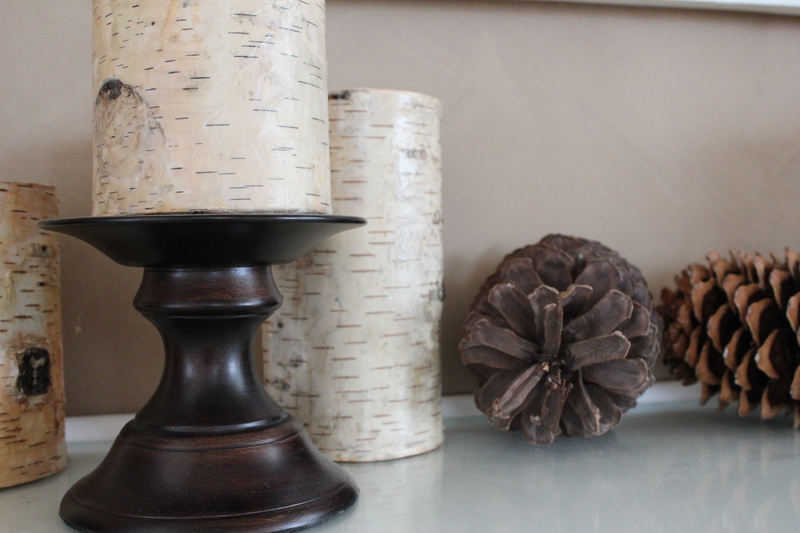 Birch wrapped candles and giant pine cones. 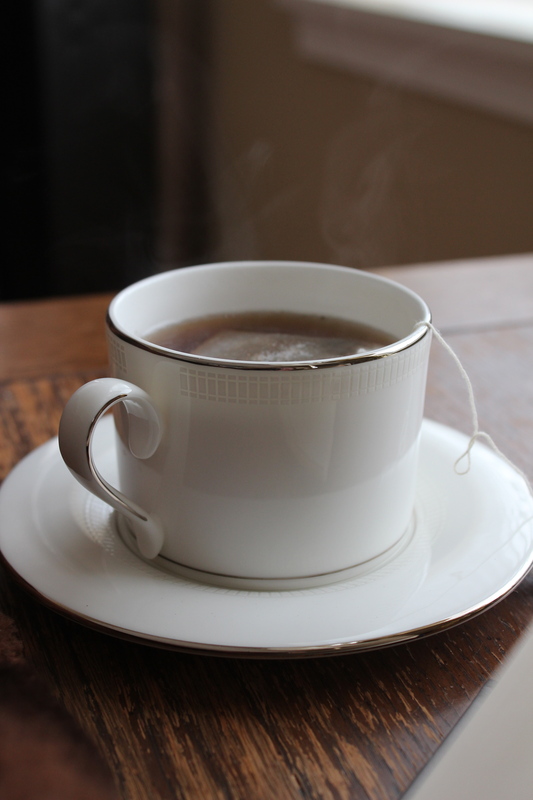 Time for some tea, a soft throw and a good book – Grimm’s Fairy Tales if you are wondering – and I was able to entice the girls to listen to a few stories before they yawned and went back to jumping. Piping hot! 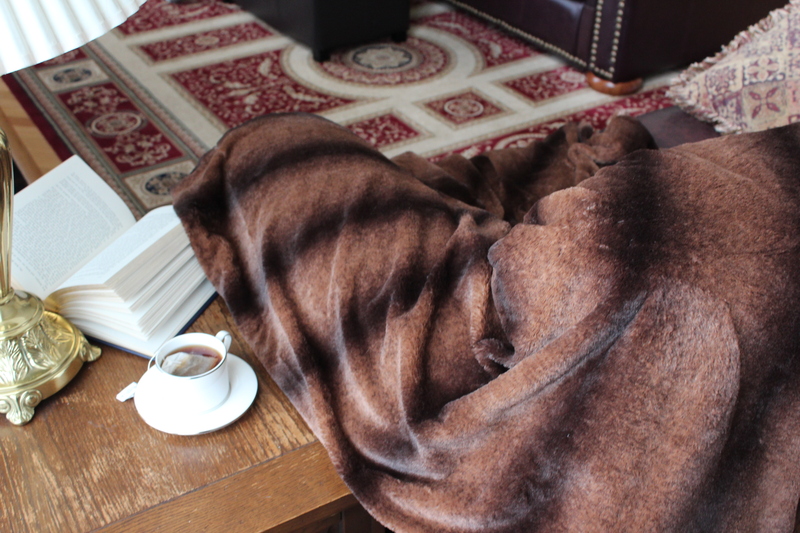 For those of you enduring this winter, I hope you are staying warm and keeping busy.